I am elated, expressed, dissolved, and now re-assembling my molecules into another form of hotly condensed energy for future adventures… What an incredible three nights. Five years at Red Rocks and I still walk away amazed, surprised, and overwhelmed, with my mind truly blown. Much love to all our mighty musical guests for many special memories: Late Night Radio, G Jones, Joker, jackLNDN, Son Of Kick, Benga, Lindsay Lowend, Eskmo, and the legendary Nightmares On Wax, as well to our live performers Seasunz, Marz Leon, Kyrian and The Fungineers! 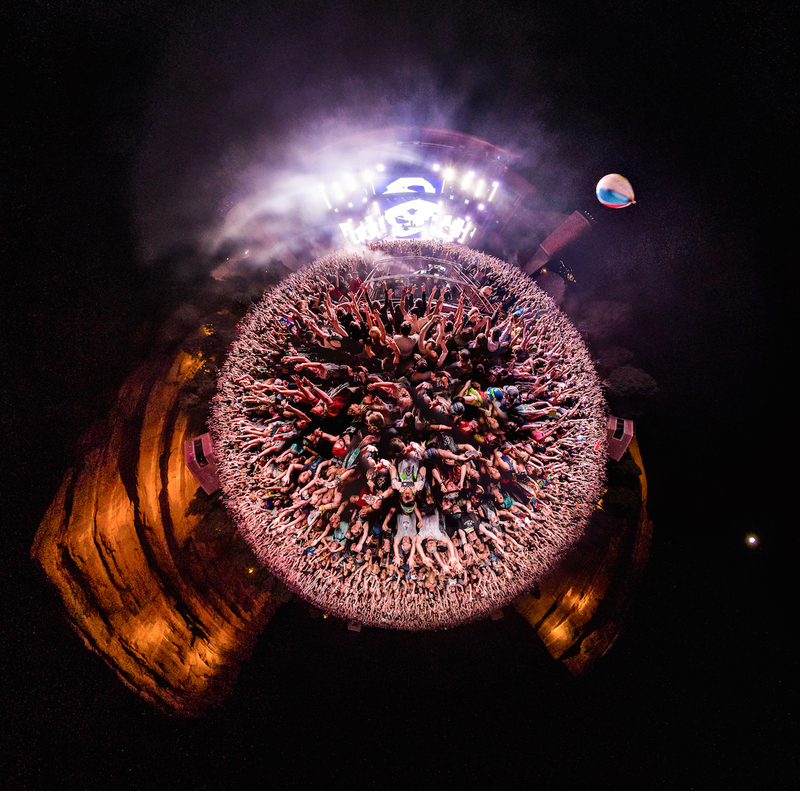 Big ups to every single human being on the Bassnectar crew (and I’m talk big nasty quivering menacing shining loving monumental UPPPPPS), as well to our burgeoning Bass Network team and all the amazing Ambassadors, to all Red Rocks staff, and to everyone who weaved their magic and busted their asses to deliver a mind-blowing, cutting-edge production. It takes a lot of people and a lot of love to make these shows come together and I hope you can feel that energy in every moment. ALSO: sending some special love to everyone who couldn’t make it but was there in spirit. <3 We felt you!!!! Now we move forwards, Into The Sun!!! The next ‘musical offering’ is coming on 6-30, and you will be able to pre-order & get 5 songs early on 6-16. The full release is like a mutant mixtape of ‘all original’ remixes, songs, collaborations and concoctions – basically a super-album, jam-packed with 16 tracks plus a 75 minute long continuous mix. A soundtrack for your summer road trips, for tripping around & exploring, for love making, for friend making, for enjoying however you wish!